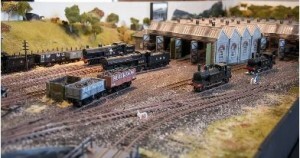 Model trains running along miniature tracks alongside miniature buildings. It’s all in one lace and fun to watch. Adults and children will be enthralled at the details of the models. 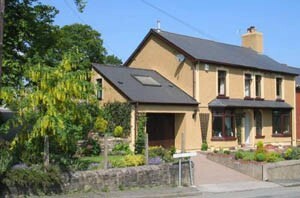 Presentation of a current Pontypool & Blaenavon membership card entitles the member to 10% discount when staying with us. Something for everyone at Pontypool & Blaenavon Railway today. Classic cars sit alongside vintage buses and tractors of all ages. Plenty of memories and nostalgia served up for the senses with the smell of the smoke from the trains and the sounds of the whistles. 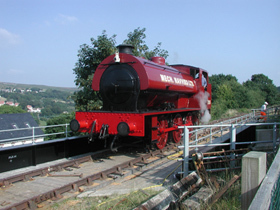 Presentation of a current Pontypool & Blaenavon Railways’ membership card allows the member 10% discount when staying with us. Spooks are coming by ghost train! This event is always a spooktacular favourite so book early! Sample the foul tasting food! Trains will be running between the Spooky Furnace Sidings Station and Whistle Halt at regular intervals from 4pm through to 9pm. All visitors are encouraged to dress up in their spooky clothes (but not essential). All children must be accompanied by an appropriate adult. 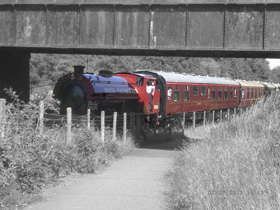 For more detailed information and up to the minute running times go to Pontypool & Blaenavon Railway website.